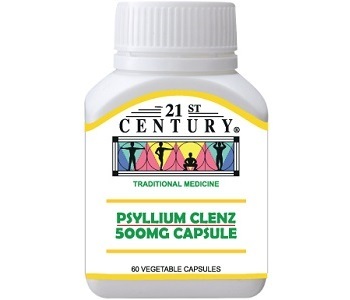 In this review of 21st Century Psyllium Clenz, we have found that the manufacturer offers the consumer a product that might assist with constipation, colon blockage, and intestinal discomfort. The manufacturer claims that this product becomes swollen in water, the walls of the seeds mold a layer of mucilage that lubricates the bowel and provides a gentle intestinal cleanser, relieving constipation. The manufacturer claims that this product is not a laxative but a cleanser and it is safe for use by the elderly, children and during pregnancy. Psyllium seeds are used as a laxative for the treatment of constipation by increasing the water percentage stools. Research shows that it reduces cholesterol as well.The ingredient listed above does not meet the standard of specific criteria based on clinical studies as key ingredients such as Oats, Prunes, Apple Pectin and probiotics to balance healthy bacteria has been omitted from the ingredients list. It does not comply with the dosage and purity of ingredients found in clinical studies. 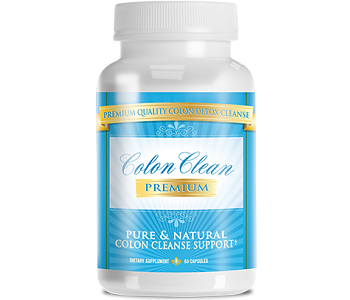 One or two capsules to be taken at night to enable the consumer that their bowels are completely cleared in the morning. If the consumer has a problem swallowing capsules then the capsule may be taken apart and the contents may be sprinkled over their food, the contents are tasteless so it will not affect the taste of the consumer’s food which they then may consume. Research suggests that some people may have an allergic reaction to this ingredient such as swelling, rash, and itching on the face, tongue, and throat. This ingredient does have possible side effects such as stomach cramping, chest pain, vomiting and difficulty swallowing, breathing and dizziness. One bottle of 60 vegetarian-friendly capsules at a price of $8.28 available online directly from the manufacturer’s website, there does not seem to be any kind of discounts available for this product at present. The manufacturer does offer a 30-Day money back guarantee. If more than one item of the same product has been purchased and the consumer wants to return these items, then only one of them may be opened, the rest must still be in its original factory sealed container to be eligible for a refund. Before the consumer may return these items a return authorization number must be obtained from customer services. We find this rather disappointing as there are manufacturers that offer one year 100% money back guarantee. We have only found one consumer review about this product on social media. We have reviewed this product and found that it is a cost-effective choice and that the manufacturer does offer a money back guarantee, but unfortunately we have also found that there are possible side effects when taking this product as well as the fact that this product does not meet the standard of specific criteria based on clinical studies. Our finding is that this product does not stand out in comparison to other similar products.